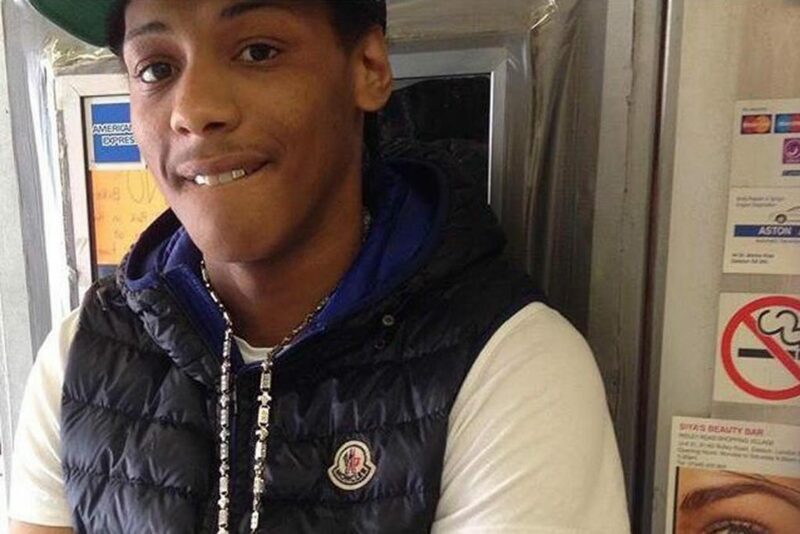 Twenty-year-old Rashan (Rashman) Charles was killed by police on Kingsland Road, Hackney, in the early hours of Saturday morning. A video posted on Twitter shows Rashan being taken to the ground and held in a headlock by a uniformed officer, followed shortly after by a plain clothed policeman who ‘assists’ his colleague by kneeling on Rashan’s back. The police as always have got their cover-up story out early, claiming that Rashan was trying to ‘swallow an object’ and that the uniformed policeman was trying to prevent Rashan ‘from harming himself’. The killing of Rashan by police follows hot on the heels of the death of Edson da Costa at the hands of police in Newham a month ago. In that case the police also came out with the line that the person they killed was trying to swallow something, although Edson’s family says there is no evidence of this. Likewise, the video of Rashan’s killing shows no package being swallowed and there is no discernible attempt by police to remove the mystery package. Far from ‘preventing harm’ the police are clearly seen killing Rashan. The police claim that Rashan was ‘taken ill’ during the encounter. Even after Rashan stops moving the police keep him in handcuffs even though he is likely dead at this point. The plain clothes officer continues to kneel on his back even after this point. Rashan was initially in a car being pursued by police before he ran into the shop. The police officers involved in the killing must be arrested. At minimum they must be suspended from duty immediately. Instead all we have is the IPCC opening yet another inquiry into racist police killers from which nothing will come – unless we mount a ferocious campaign for justice for Rash, for Edson and all those who have died after coming into contact with police officers. Racist police killers off our streets!! Vigil for Rashan Charles - jail killer police! Heartbreakingly sad, this young man lost his life. The police involved must be suspended and charged. I live nearby. He was a heroin and crack dealer. I’m not here to support police but bias and inaccurate reporting doesn’t help your cause.